A bed in the Emergency Department at Copley Hospital in Morrisville. The medical director of Copley's ER says they do their best to treat psychiatric cases, but the ER is not a therapeutic setting. This show is part of a weeklong series of 'Vermont Edition' programs related to mental health care. Our guests are Mental health Commissioner Melissa Bailey, Dr. Louis Josephson, CEO of the Brattleboro Retreat, and Dr. Liam Gannon, medical director of Emergency Services at Copley Hospital in Morrisville. 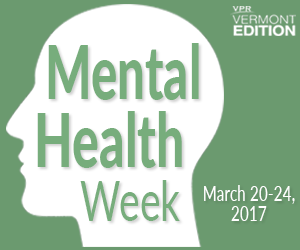 This program is part of a weeklong series on Vermont Edition looking at issues related to mental health care and Vermonters' lives. Find more on the "Mental Health Week" series here. Broadcast live on Monday, March 20, 2017 at noon; rebroadcast at 7 p.m.